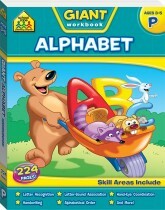 The School Zone Alphabet Fun Flash Cards help children learn letters and beginning sounds. 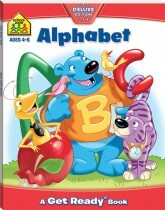 Containing 52 flash cards, the front of each card show the uppercase and lowercase versions of the letters and a picture representing that letter. The back of each card show the picture's word and the uppercase and lowercase versions of the letter. 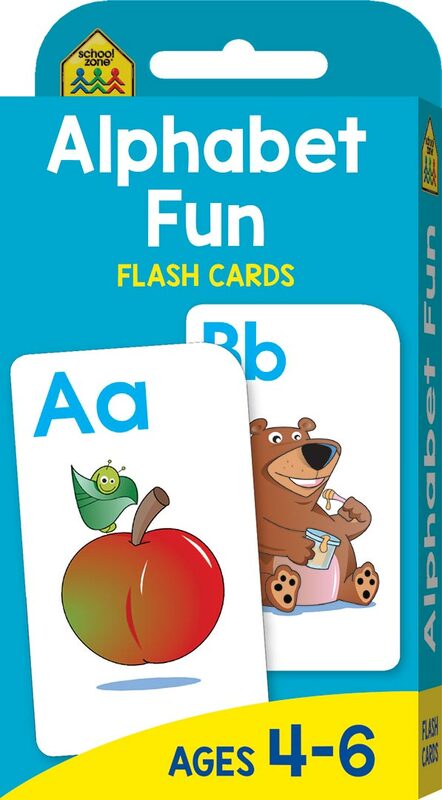 This kit also includes a parent card that suggests fun games and activities you can do with these cards, this pack will encourage and develop important skills while making learning fun.